My name is Michael Reiner and I'm a full-stack web developer who has been building digital solutions professionally for over 15 years. I have a knack for learning new things, take pride in the continued iteration and refinement that comes with each new project and enjoy most contributing to a great team. I'm a proud father of two wonderful children, an avid cyclist, music lover and a total hop–head. While studying music, I gained an appreciation for the web and enjoyed the hands-on approach of tinkering. 15+ years later and I've made a career out of it! Looking for a development partner who understands working with clients, how to integrate your awesome designs into a usable, front-end interface? Need CMS integration or a custom back-end? I’m here to help and I’ve got lots of experience. As a lover of all things beer, this project was a blast to be a part of! Our team had the opportunity to built the digital version of the Inland Northwest Ale Trail’s paper map, where visitors collect stamps from breweries towards the redemption of a free mini-growler. From a technology standpoint, this was a lot of fun to build. 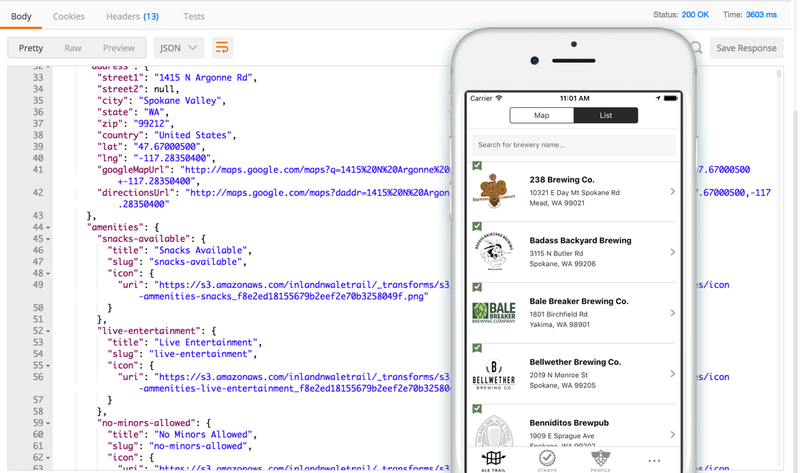 I was responsible for building the API that feeds the brewery information and user data to and from the app. We leveraged Craft CMS as the means to input and manage content in tandem with the Craft Element API and a custom back-end plugin to make the magic happen. I also worked with React Native to build and compile the native iOS application. There aren’t many things that go better together than great wine and delicious food. The opportunity to work with this family-owned, award-winning restaurant and wine bar was right up my alley. The client had outgrown their existing Squarespace website and were looking to revitalize their visual identity and web presence. Craft CMS was a great choice to enable the owners to easily manage their various menus – lunch, dinner and events – as well as their extensive wine list. 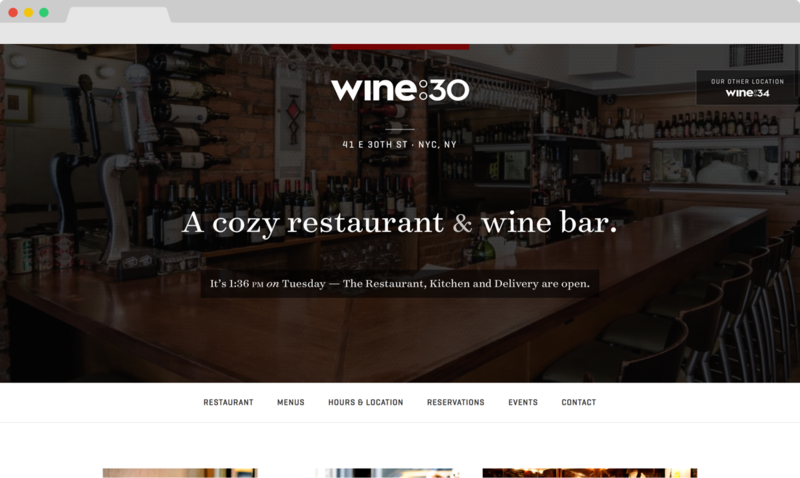 Customers can purchase gift certificates on the website via a custom Stripe integration as well see in real-time if Wine:30 is open for business and which services are available. 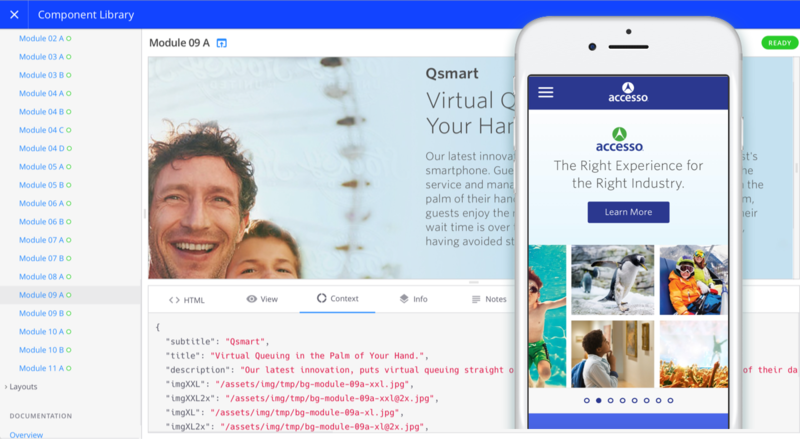 accesso was looking to give their web presence a visual facelift. We worked in harmony with their design partner to develop and deliver a modular, front-end component library that could be used to build complex, yet flexible, layouts. The component library serves as a living styleguide to ensure visual consistency when new content and layouts are created and proved essential for creating flexible, reusable Craft CMS templates. This project offered some unique challenges to overcome, such as the ability to create complex modules in the CMS with control over everything from SVG icons that could be color-controlled to full-bleed interactive image carousels that are usable on everything from mobile devices to widescreen desktop computers. ECG Management Consultants has 10 offices nationwide and works with healthcare organizations of all sizes. 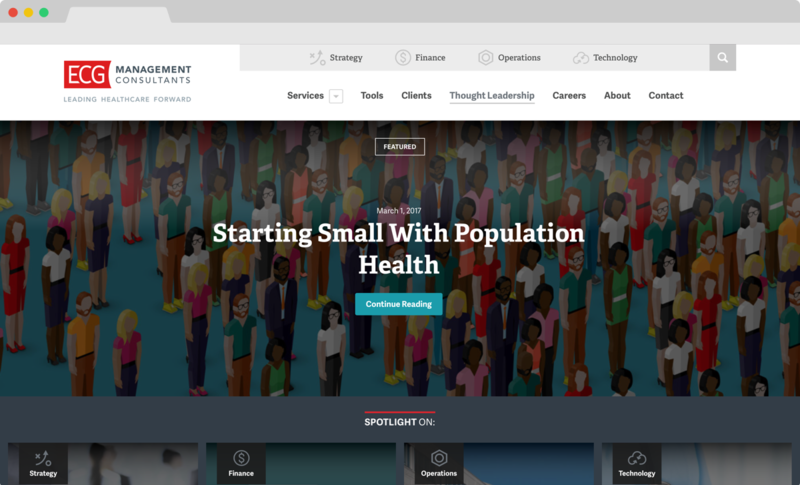 Synergema was hired to give their aging website a major visual overhaul along with a massive content restructuring. The aim was to promote the specialized expertise of their many consultants and their extensive thought leadership writings. © 1977–2019 — Michael Reiner. All rights reserved. Drink good beer!